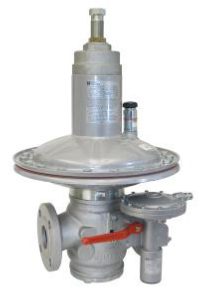 Gas Pressure Regulators are safety devices used to control the pressure of a gas line from a higher pressure, down to a desired lower pressure to feed downstream equipment and processes. In many cases, the operation of your gas regulator can directly influence the efficiency of a gas system and the life span of downstream equipment and appliances. 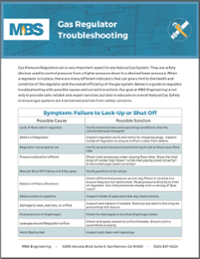 There are many different types of regulators and the selection of a proper gas regulator is based off specific application information including line size, flowrate, equipment requirements, inlet pressure, desired outlet pressure, location, and safety requirements. 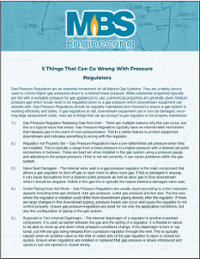 For most applications, the direct-operated gas pressure regulator is the best fit. 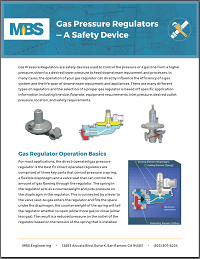 Direct operated regulators are comprised of three key parts that control pressure: a spring, a flexible diaphragm and a valve seat that can control the amount of gas flowing through the regulator. 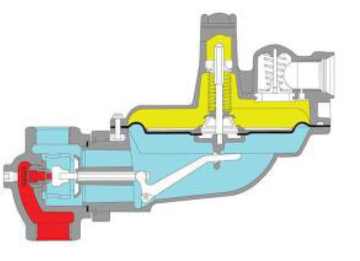 The spring in the regulator acts as a counterweight and puts pressure on the diaphragm in the regulator. This is connected by a lever to the valve seat. So as gas enters the regulator and fills the space under the diaphragm, the counter weight of the spring will tell the regulator whether to open (allow more gas) or close (allow less gas). 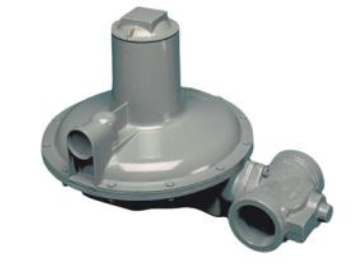 The result is a reduced pressure on the outlet of the regulator based on the tension of the spring that is installed.